The story of master watchmaker Hermann Grieb begins in a castle, the Schloss Datzingen to be exact. We must admit that if you must pick a place to work a schloss built in 1263 is as good as any. 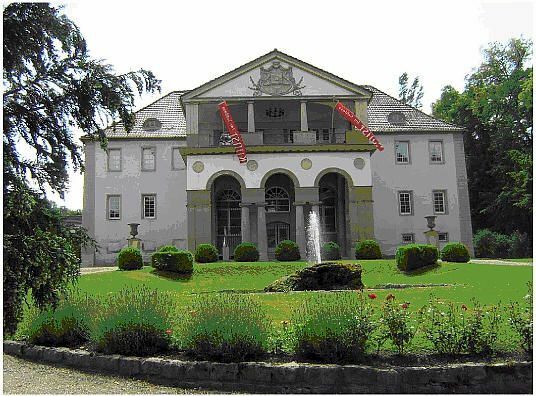 The Schloss Datzingen is famous not only for housing the workshops of Herman Grieb, but it also serves as the official auction house of the third largest auction house of fine collectibles in Germany. Although Hermann Grieb serves as the official watchmaker responsible for the repair and restoration of all timepieces in the auction, he still has a bit of time left over to create great watches for us in collaboration with Jochen Benzinger. Because of the historical significance of the castle, and the number of original pieces that remained on site (including table clocks and antique pocket watches), someone of exceptional talent was needed to maintain and restore these timepieces, some of which were over 200 years old. Herman Grieb began his work at Schloss Datzingen in 1982. As is the case with many master watchmakers, Hermann is also an expert with clocks, and much of his early work centered on the restoration and repair of the castle's fine table clocks. Due to the age of some of these pieces, parts often must be made by hand to fit in the original design and style of the clock, and this type of work requires much precision, knowledge and a bit of "art". Born in 1954, Hermann Grieb spent many years training as an apprentice under some of Germany's finest watchmakers at the time. He also learned the art of goldsmith in Pforzheim, and became to have a mutual respect for Jochen Benzinger, also based in Pforzheim. Hermann has become fascinated with antique pocket watch movements, especially those that are extremely rare. During a recent dinner conversation, we learned that most old watch movements are in such a state of disrepair that they cannot be used, but every so often there appears "a pearl in the shell". Grieb has a knack for locating these one of kind movements. The ability to locate such movements, recognize those that are in a state to be made near perfect, and then to restore and refinish the movements is in essence Hermann Grieb. As we travel throughout Germany and meet with the other brands we carry, whenever the conversation turns to vintage timepieces and restored movements, Hermann Grieb's name is usually at the heart of the conversation. WatchBuys is proud to have Hermann Grieb as part of our team. His collaboration with Jochen Benzinger to create one of a kind watches from historically significant movements is a treat that no picture can justify. The results are in fact breathtaking. And remember - all Grieb & Benzinger watches are limited editions of 1 piece, so exclusivity is assured. To see our collection of Grieb & Benzinger watches from Jochen Benzinger and Hermann Grieb, please click here.